Takes 115 Minutes , serves 12. 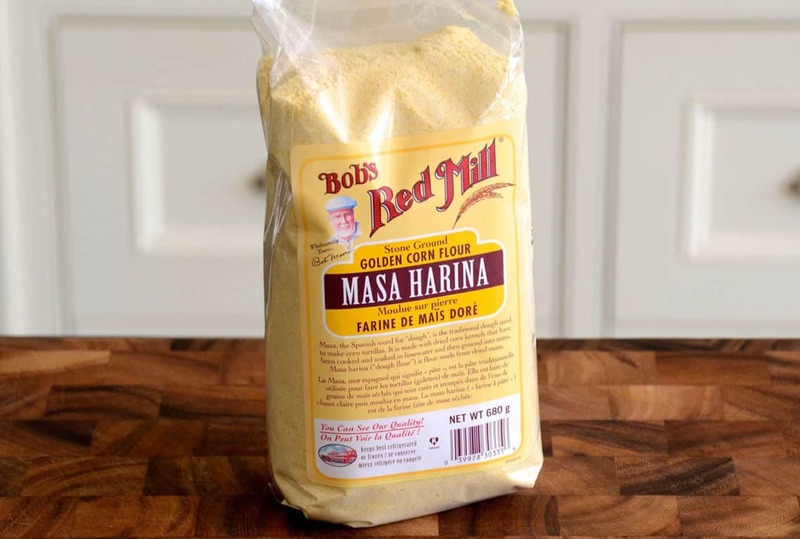 Prepare the corn tortillas: Stir masa harina and salt together in a medium-sized bowl. Add one cup of hot water and stir together to activate the flour. Add remaining water and knead the mixture together to form a dough. Cover with a dish towel and rest for one hour. Work bits of dough into the size and shape of golf balls. Place one ball onto a piece of parchment paper resting on the bottom of a tortilla press. 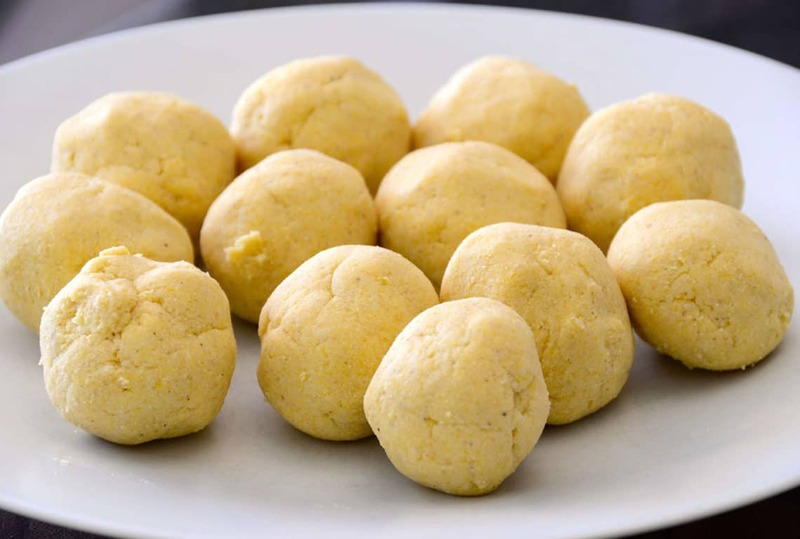 Place a second piece of parchment paper on top of the ball. Close the press, pressing down slowly and firmly to create a tortilla about 6 to 7 inches in diameter. Transfer to a hot skillet on medium-high heat. Cook for about 2 minutes, turning halfway. Transfer cooked tortillas to a plate lined with a clean dish cloth and cover with towel until use. Repeat the process until all of the dough is used. Roast the turkey breast: Bring the turkey breast to room temperature. Preheat oven to 425°F with the rack in the middle position. Rub turkey breast with a bit of extra virgin olive oil, salt and pepper. 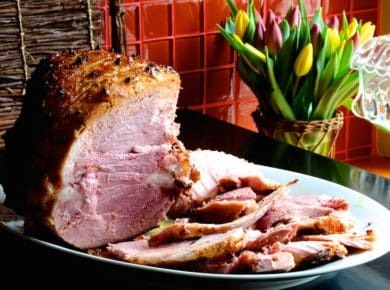 Place into oven and roast for an hour or until it reaches an internal temperature of 165°F. Remove from the oven and cool for 15 minutes before dicing the turkey into small, bite-sized pieces. Transfer to a large bowl. Prepare taco seasoning: Place all of the ingredients for the seasoning mix into a bowl. Stir together and reserve until use. 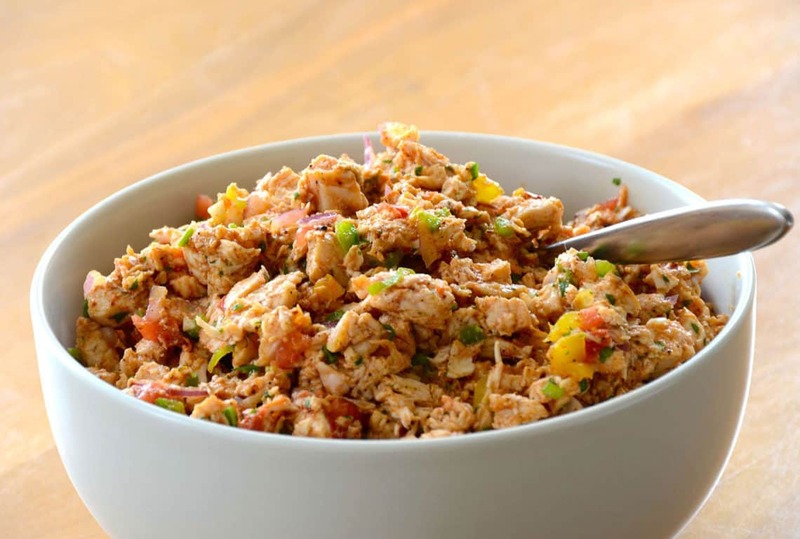 Prepare taco filling: In a bowl, stir together scallion, red onion, jalapeño, garlic, tomatoes, cilantro and lime juice. Adjust to taste with salt. Stir this mixture in with the turkey and add a tablespoon of the seasoning mix. Taste and adjust seasoning, adding more salt if desired. To serve: Lay tortillas out onto your work surface. 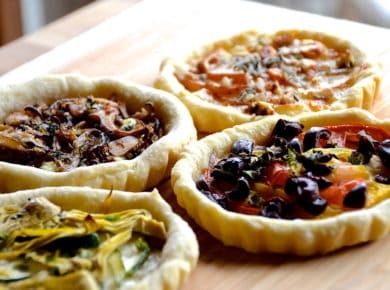 Place a generous amount of taco filling into the centre of each. Add a drizzle of the salsas and sauce. Sprinkle with chopped cilantro and the crumbled cheese. Serve immediately with extra salsa, cilantro, cheese and lime wedges on the side. 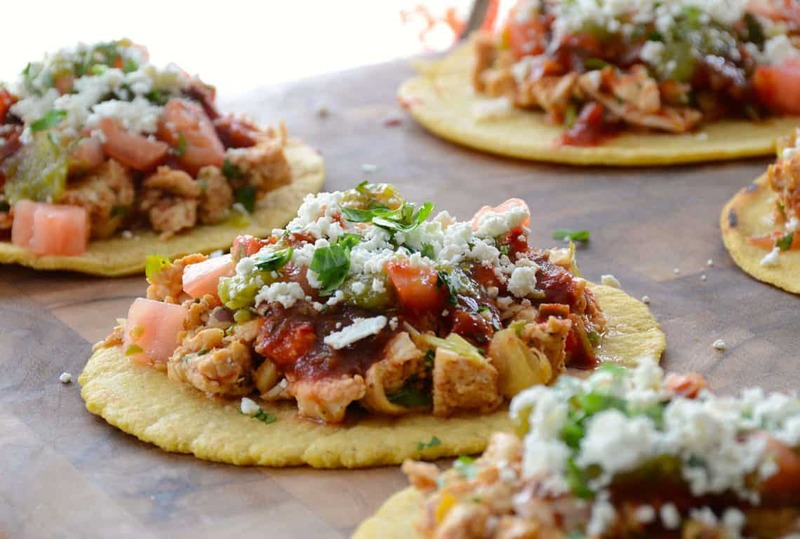 How about homemade corn tortillas filled with seasoned roasted turkey, heirloom tomatoes, jalapeño, red onion, garlic, cilantro and lime, and topped with tangy salsas and Mexican cheese. 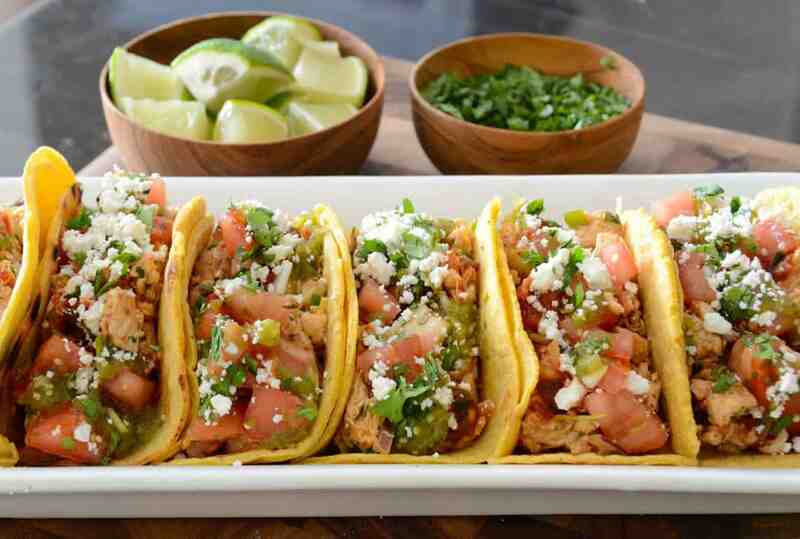 This TURKEY TACOS RECIPE is it! This TURKEY TACOS RECIPE is a great example of what happens when we take a food concept, break it down and build it back up with an eye to making it healthy and homemade. We spent a ton of time looking at the various components to this culinary classic, and now proudly present it for all to enjoy. Before going through the various steps of preparation, a friendly reminder to BOOKMARK this page or, PIN it to one of your Pinterest boards for future reference. 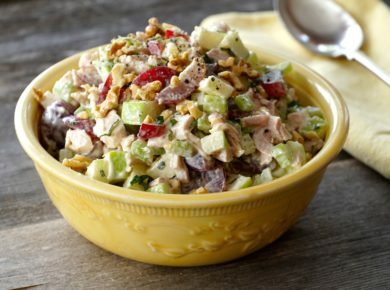 This is one of those recipes you’ll want make again and again. 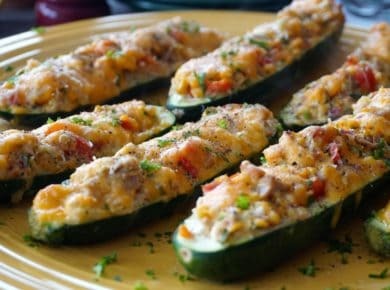 When you view our video and read this recipe, you’ll notice that almost everything presented, with the exception of the wicked salsa toppings we used, is homemade. Reality check – we understand that everyone’s busy. If you’re in a jam for time, buy ready-made taco seasoning and packaged tortillas – they won’t be as good (read: not even close, LOL!) but, promise us that there will come a day when you make these exactly as we have because it’s so worth the effort. 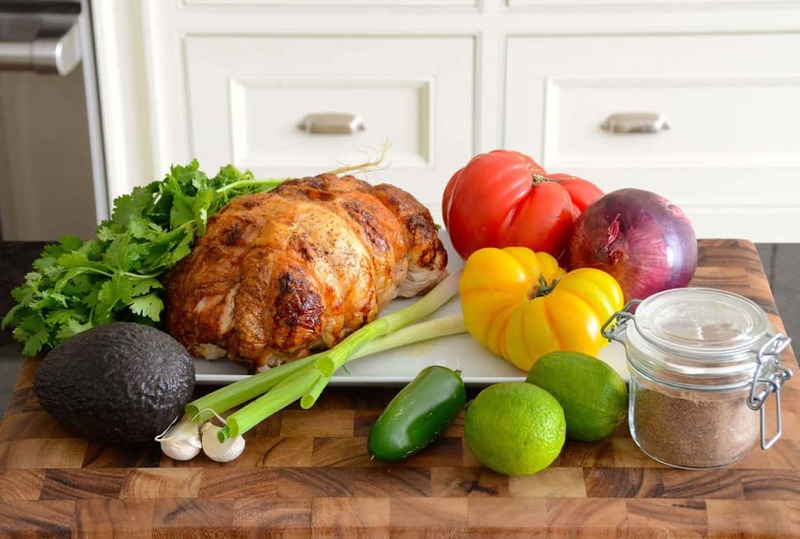 Here we go then – our guide to making the ultimate TURKEY TACOS RECIPE! TOOLS – The only special tool required to make these is a tortilla press. See our AMAZON link below to purchase. We bought a tortilla press for this story and found it both easy to operate and up to the task. There’s only one problem – Carol thinks it should reside at her place in the city to get maximum use, while I believe it should be kept at the cottage to entice guests up for the weekend. I have a funny feeling we’ll be purchasing an additional tortilla press within the next day or two. TORTILLAS – We’re sending a huge thank you and all our love to our friend Mireille from Amsterdam. She’s a fellow YouTuber, and in our minds, the queen of tortillas. 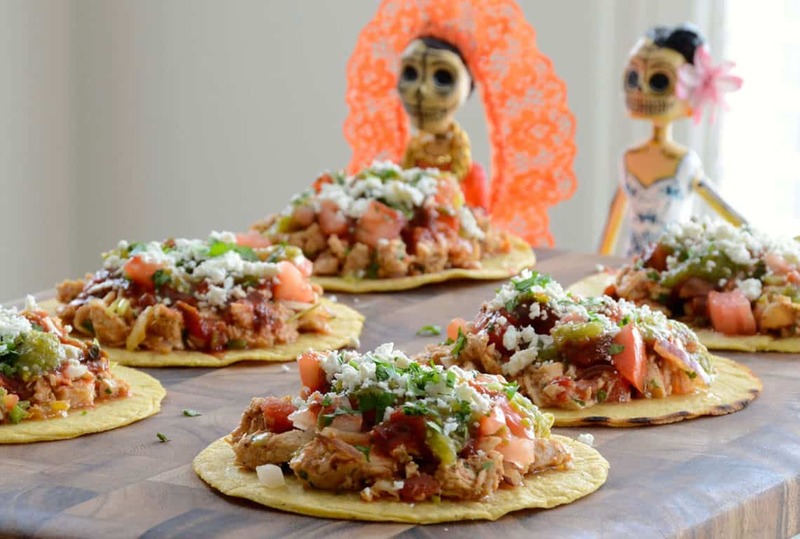 Click HERE to visit her website or click HERE to go to her channel, both of which are founded on ways to make recipes that prominently feature tortillas. 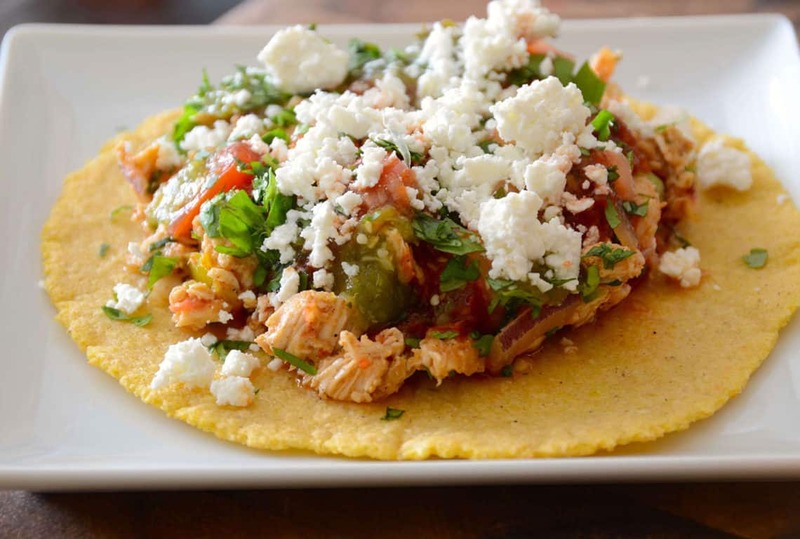 Mireille kindly let us use her fabulous recipe for authentic corn tortillas, which calls for only three ingredients. IMPORTANT! 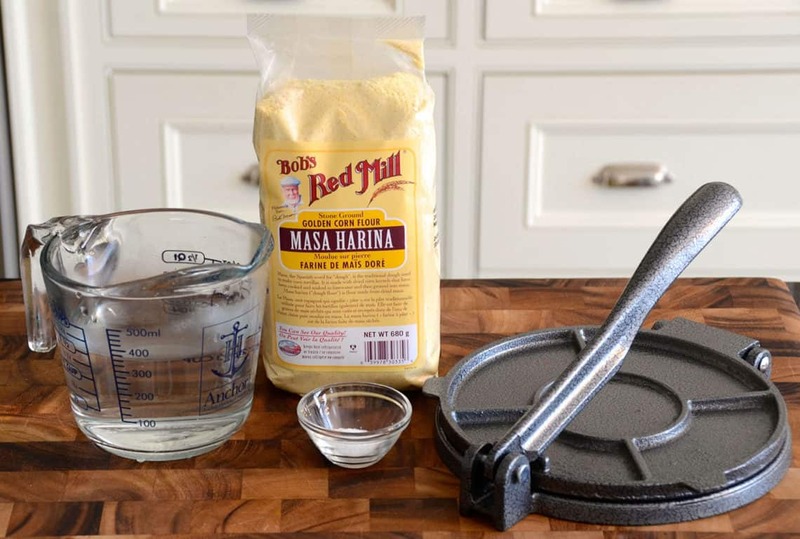 It’s essential to use MASA HARINA, a specific type of corn flour. I had no trouble finding the organic version from Bob’s Red Mill and have included it in the AMAZON links too! Last three things about these tortillas: double the recipe if you’re serving a crowd, if you have kids in your midst, involve them in making them (fun!) and lastly… wait for it… the tortillas are 100% gluten-free – yay! 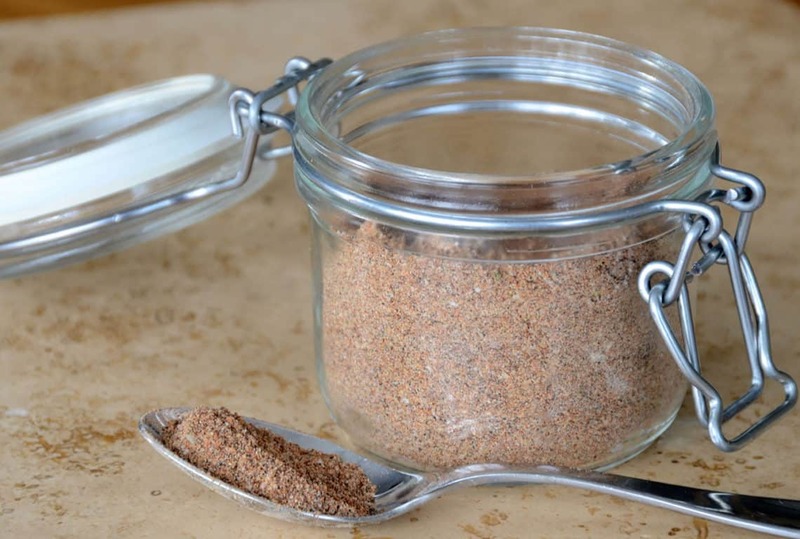 TACO SEASONING – Having now prepared, tested and eaten many of these, we know that the spice blend we created contributes greatly to the taste sensation that this recipe delivers. Don’t be mad at me, but you will need to track down a few unusual ingredients to make it: ancho chili powder, chipotle powder, and Aleppo pepper flakes. I suggest calling a health food store or spice shop if you’re buying local, but I’ve also attached AMAZON links for them below. The good news about the taco seasoning is that I’ve directed you to just add it to taste, so the amount this taco seasoning recipe yields will leave you with more than enough, and you can store the excess in an airtight container for future use. 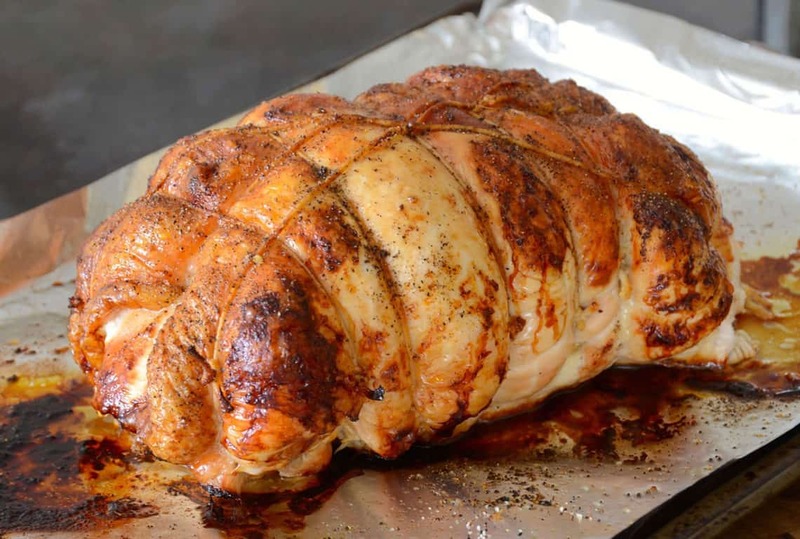 ROASTED TURKEY – We specifically used turkey to change things up from the standard beef versions, and we also decided to use a roast turkey breast instead of sautéing ground turkey. We think roasting the breast produces a richer flavour profile. VEGETABLE MIX – We made a conscious decision to amp up the flavour of the filling for our turkey tacos by including both yellow and heirloom tomatoes along with red onion, scallion, garlic, jalapeño, and cilantro. Balancing these flavours with salt and a generous squeeze of fresh lime juice is what knocks the recipe out of the park. QUESO – Tracking down and selecting cheese for what we now know to be the perfect queso for this recipe took some time, but I think we nailed it. 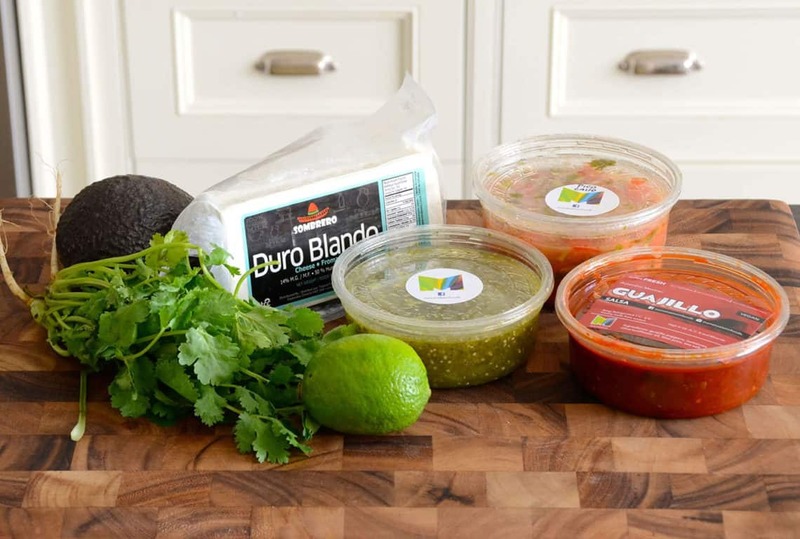 Considering my options, I initially thought that either cheddar or Monterey Jack would do the trick, but I learned of an even better option from the shop owner who suggested we use Duro Blando, a crumbly, salty Hispanic cheese. I encourage you to track some down – it pairs perfectly with the rest of the ingredients. SALSAS – I ended up purchasing the salsas for our tacos from Nancy at Manota’s Organics in St. Lawrence Market. 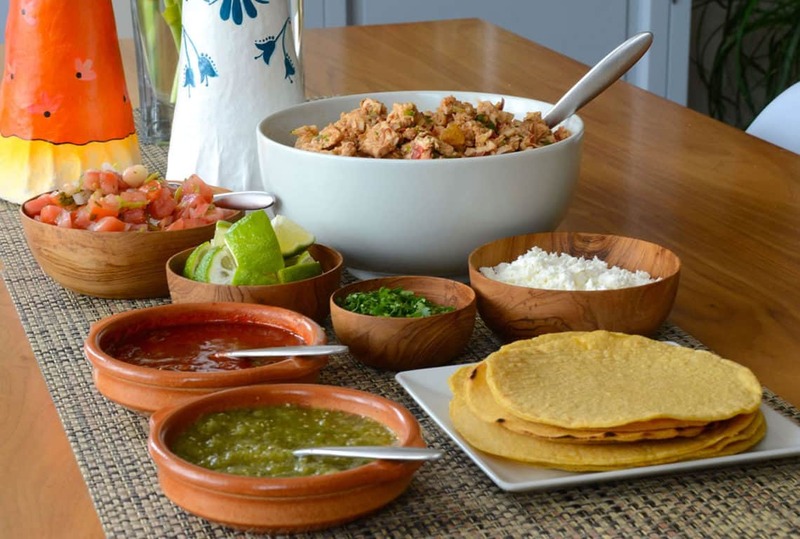 She’s an expert at preparing authentic Spanish and Central and South American delicacies like this, and adding all three – tomatillo pico de gallo, tomato salsa and her extraordinary guajillo chile salsa – got my taste buds bouncing! 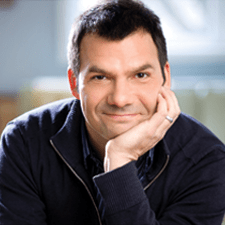 OMISSION – Sorry! We got so excited while shooting the story and so pumped to take that all-important first bite that we forgot to dice up the perfectly ripened avocado you may notice sitting there in our ingredients photo – bummer! But things do happen for a reason, and in this case, the omission is simply a reason to make the recipe again! SERVICE – As you flip through the photos, you’ll see we’re giving you options to serve. You can set out all the fixings for this turkey taco recipe and allow friends and family to make their own. 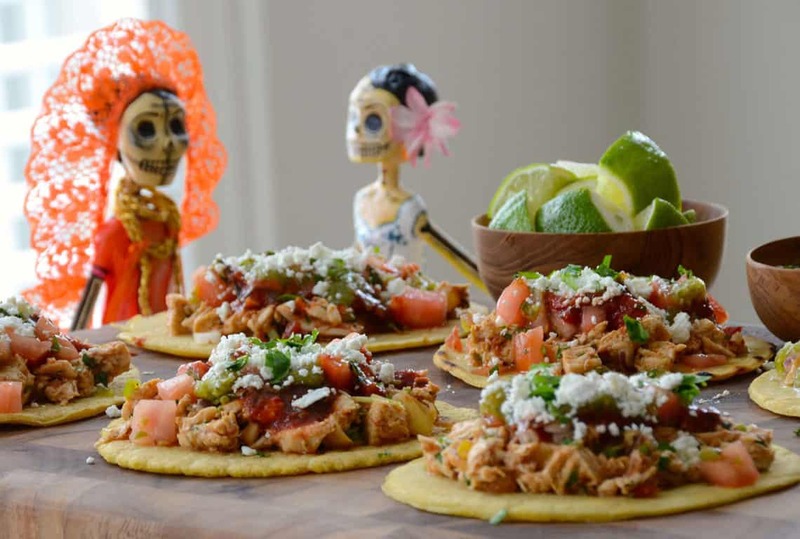 You can also dress the tacos and lay them out flat as a grab-and-go option, or dress and then fold them into the classic crescent shape and place onto a platter, perfect for a party. The choice is yours. 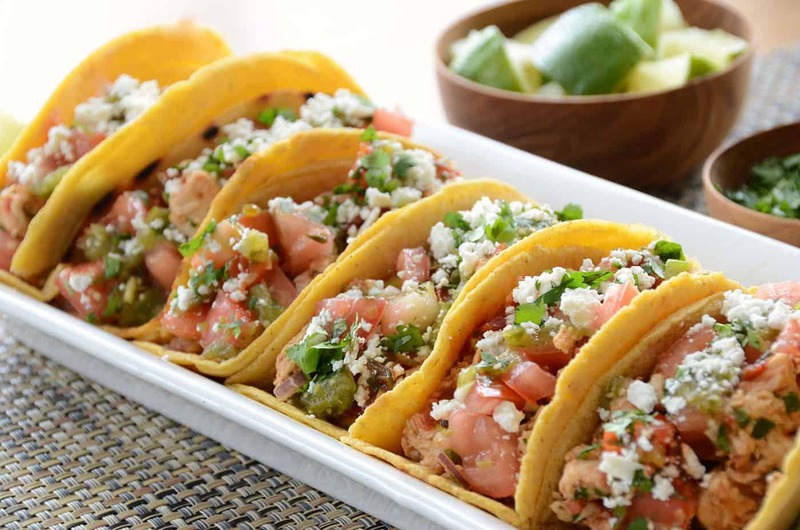 Looking for additional flavourful things to go with our TURKEY TACOS RECIPE? Start things off with a CUCUMBER COOLER and when you present the tacos, serve them with a side of our delicious grilled corn dish, ELOTE – Mexican Street Corn. 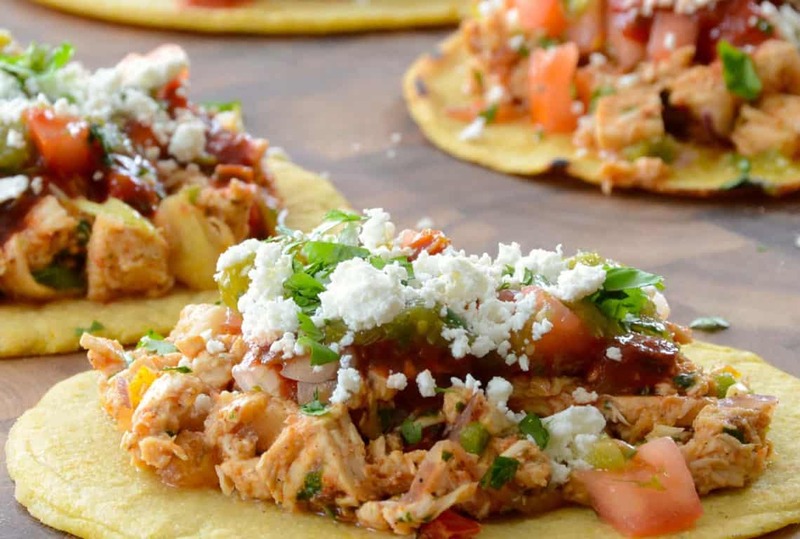 This TURKEY TACOS RECIPE is a fiesta in the making. Party on! Nik and Carol, what a beautiful taco recipe! Lovely Turkey with salsa and Mexican cheese. 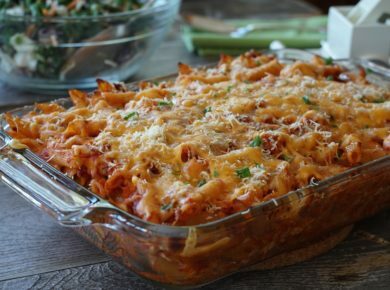 You did a great job with this recipe. I’m sure this is one to make and repeat. So nice to see you used my corn tortillas in it as well. Truly honoured. Will bookmark and pin it. Mireille! Thanks for letting us reference and use your recipe. Those tortillas are AMAZING!